Apple's Phil Schiller just took the wraps off of the iPhone 5 during a press event in San Francisco. The device is crafted entirely out of glass and aluminum, and Schiller said that it's the lightest and thinnest iPhone that Apple has ever created. It's 18% thinner than the iPhone 4S at just 7.6mm thick and 20% lighter. As expected, the device sports a 4-inch screen with a 1136 x 640-pixel resolution and a 16:9 aspect ratio, which means there's room now for a total of six rows of icons on the homescreen (including the dock). Despite the increased size, Schiller said that it was actually "not a challenge" to make a larger iPhone. The company is also optimizing all of its iOS software to take advantage of applications that will use the larger display. Apps that currently exist will "work just like before," Schiller said. Basically, this means that you'll be able to see more inside a specific application. In the web browser, for example, you'll be able to see more of the website. The 16:9 aspect ratio means you'll be able to play widescreen videos easier, too. That's not all, though. The display has 44% more color saturation than the screen on the iPhone 4S, and Schiller said it's the "most accurate" screen available right now. As we expect, the touch sensor is included inside the display. That backs up the in-cell technology rumors we heard earlier. The iPhone 5 will also support 4G LTE networks, as well as HSPA+ and DC-HSDPA networks, which means you'll be able to fall back on "4G" networks where LTE isn't available. The chip include a single radio and a dynamic antenna. The phone also supports dual-channel WiFi, with support for 802.11a/b/g/n routers and 2.4GHz and 5GHz frequency spectrums. Schiller also explained that the iPhone 5 offers a brand new A6 chip that's 2x faster and offers twice the graphics performance of the A5 chip used in the iPhone 4S. 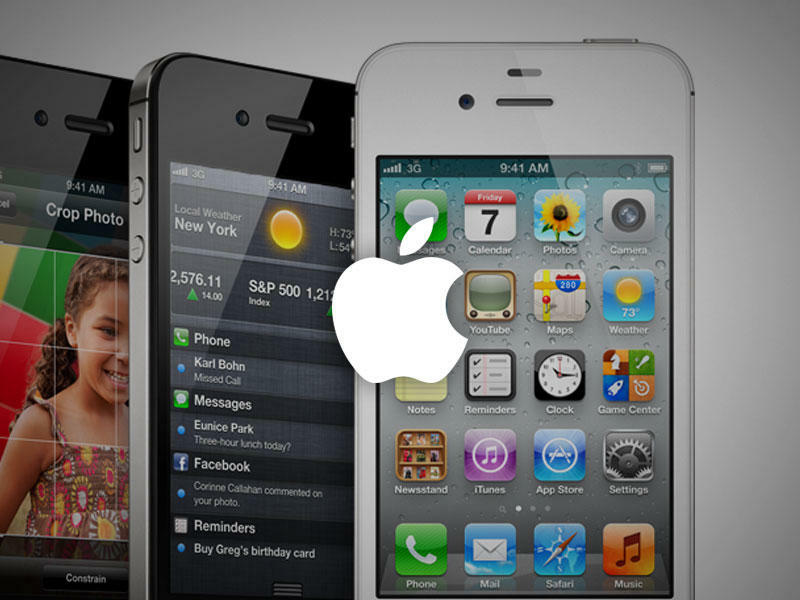 Despite the faster processor and 4G LTE support, the iPhone is expected to offer better battery life than the iPhone 4S. It should offer 8 hours of talk time over 3G, 8 hours of 4G LTE browsing, 10 hours of video, 40 hours of music playback and 225 hours of playtime. The iPhone 5 also has a backside-illuminated 8-megapixel camera with a f/2.4 aperture, a hybrid IR filter and a five-element lens. The sapphire crystal lens is 25% smaller than the existing camera and has enhanced low-light performance. Thanks to the A6 processor, the camera will also offer better image processing and will capture photos 40% faster than ever before. The camera is capable of capturing panorama images at a 28-megapixel resolution. You can also capture videos while recording 1080p video. As we already know, there's FaceTime over cellular support, too. But Apple also upgraded the FaceTime camera with Face detection. Apple also enhanced the audio on the iPhone 5 by including three microphones: one on the bottom, one on the front and one on the back. There's HD voice support, although carriers neeed to support it first. The iPhone 5 will take advantage of Apple's new lightning dock connector, which is reversible, easier to use and provides an 8-signal design. The company will provide adapters for older accessories, but didn't say how much they will cost. We have already covered iOS 6 in detail, including new Siri enhancements, shared photo streams and more. However, Apple just announced that Safari for iOS 6 will offer a full screen mode and will also allow users to sync their tabs with a computer running the full version of Safari. Pre-orders for the iPhone 5 start on Friday, Sept. 14 and it will be available on Sept. 21. The device will cost $199 for the 16GB model, $299 for the 32GB model and $399 for the 64GB model. The iPhone 4 is now free and the iPhone 4S will cost $99 with a new two-year contract. Catch the Live Blog here!